As soon as the pilgrims entered the city of Rybnik, they were greeted by a freight train full of coal. This was a reminder of the realities in this region, where many households depend on coal mining for their income. The group was met by a Dominican parish and the mayor of Rybnik, Piotr Kuczera. They were welcomed with a bountiful meal, and they experienced the incredible generosity of the local community. Mayor Kuczera spoke about the need for compassionate dialogue and a just transition into renewable energy. 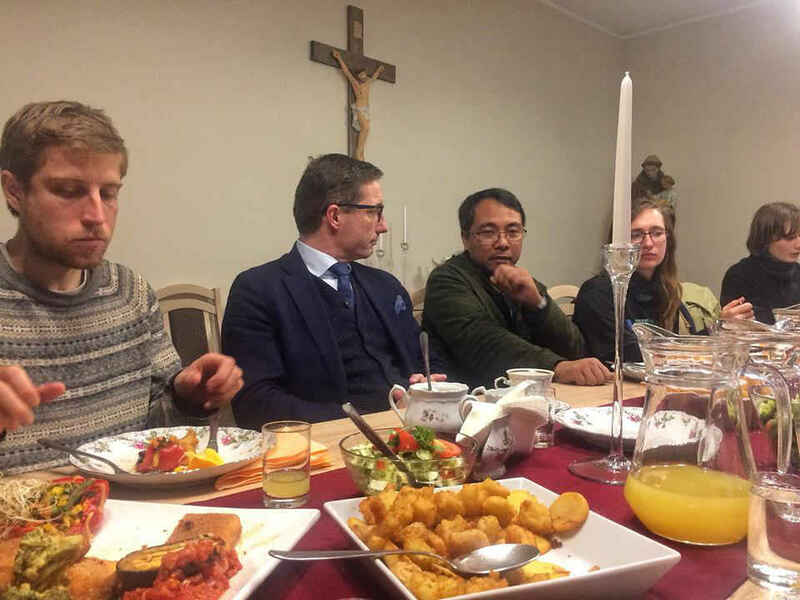 The pilgrims also had a chance to meet students whose professor is taking part in COP24. Aware of the dangers of pollution and climate change, these students are learning about renewable energy and are passionate about finding solutions to the issues that affect their community. 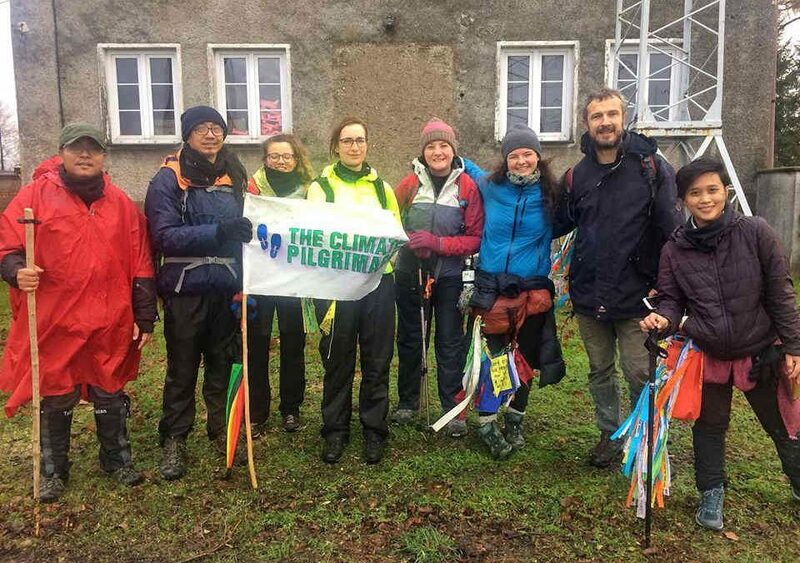 The pilgrims will continue to share the cry of creation as they make their way to COP24. They will also assemble prayer ribbons into a cross that they will carry into Katowice. Click here to add your prayer to the global call for climate justice.